When it comes to choosing a motorized system for both residential or Industrial door applications we can provide both expert advise and installation to get the job done smoothly and efficiently. A new motor system is bound to simplify your life and boost the security levels in your home or workplace. Why go through the effort of opening doors manually or by chain operation when technology is on your side. Our new flagship rolling door opener, the GDO-6 EasyRoller® now features our Series 2 upgrades. Designed to deliver a slim profile, reliability, security and convenience, it is compatible with our Smart Phone Control Kit and Wireless Safety Beams. The Series 2 EasyRoller® takes forward the impressive reputation earned by this series of openers over the past decade. This version incorporates bright LED courtesy lighting and compatibility with Wireless Safety Beams. The Service Indicator lets you know when it is time to service your door. This is in addition to TrioCode™128 transmitters, Soft Start/Soft Stop operation, advanced door profiling and obstruction sensing for secure and safe operation. Designed to power sheds and carport roller doors. With a market leading weather resistant IP34 design, slimline design to fit into the tightest of spaces and LED lighting as standard, makes WeatherDrive the perfect option for powering sheds and carport roller doors. Compliant to Australian & New Zealand Standards, WeatherDrive comes with a 3 Year Warranty for complete peace of mind and Merlin Security+2.0 encryption rolling code technology for operation under all environment conditions and greater distance than ever before. 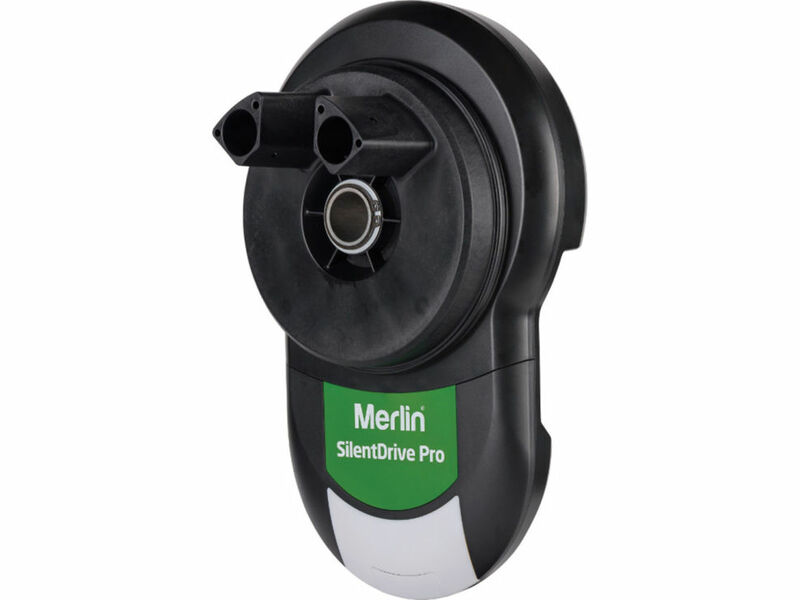 The latest Merlin opener to power your garage door! At last, you can monitor and control your garage door opener away from home through the Merlin MyQ app via your smartphone, tablet or computer. Schedule to close your garage door at any set time. Compliant to Australian & New Zealand Safety Standards, plus packed with IR Protector Safety Beams for extra security and Merlin's Premium+ remote control that can control up to four powered garage doors. Including market leading 7 Year Warranty for peace of mind and Merlin Security+2.0 encryption rolling code technology. Compliant to Australia & New Zealand standards and comes with a 2 Year Warranty. Australia's favorite opener, Tiltmaster is powerful, quiet and compliant to Australian & New Zealand Standards. Enjoy complete peace of mind with the market leading 7 Year Warranty and built in premium safety reversal technology, to ensure your family and possessions are protected. Loaded with Merlin Security+2.0 encryption rolling code technology means perfect operation under all environment conditions and from a greater distance than ever before. Featuring enhanced power and warranty period, the Series 2 Dynamo™ is suited to the vast majority of sectional single and double doors. The opener can be coupled with our Smart Phone Control Kit for added convenience and peace of mind. The Dynamo™ provides balance between garage door opener performance and affordability. Ideal for busy family homes, it offers an excellent mix of safety systems, TrioCode™128 technology for security and a service reminder to let you know when periodic door maintenance is due. It can be readily upgraded to include battery backup and safety beams for added protection. The B&D Controll-A-Door® S combines secure, smooth and reliable garage door control with the added peace of mind of a 7 year manufacturer’s warranty* and premium remote controls. An open garage is an open invitation for unwanted entry so it pays to know that you can control your door while you are away from home with B&D®. The kit allows you to monitor and control your garage door while you are at work or even on holidays from your compatible smart phone*. Best of all, the kit is available for both Rolling and Sectional style garage doors. The Toro® offers sophisticated commercial roller door opening technology and superior pulling power. With built-in Battery Back-up and a wall-mounted control panel you can program a variety of operating modes for your security and safety. A marriage of immense power and sophisticated logic controls, the Toro® can cater for roll-up doors up to 28m2 and high duty cycles. The logic control system, with LCD screen, can manage up to 511 TrioCode™ Garage Door Remotes, and offers time clock controlled access programs, adjustable speed and obstruction settings. A full complement of controlling inputs and outputs are standard, including compatibility with up to three Wireless Safety Beams systems simultaneously. Rounding this out is Soft Start/Soft Stop, Door Profiling, Intelligent Safety System and variable Auto Close settings.